Aranmanai 2, the latest edition of Sundar C’s horror comedy franchise has opened up well at the box office. Reviews have been mixed but the audience seems to have accepted it with open arms, which yet again proves that horror comedy is a genre that people are fascinated to watch. 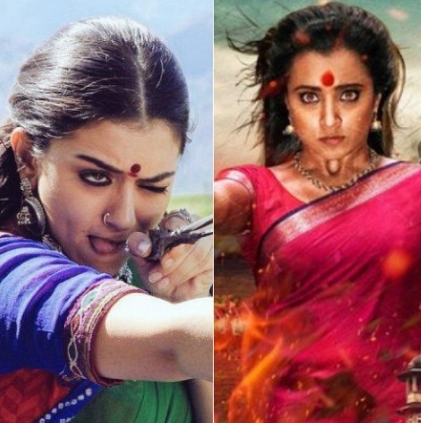 Now let us see how Aranmanai 2 has fared compared to Aranmanai as per their respective first weekend collection based on Behindwoods’ Chennai city box office data. The 1st edition of this horror comedy franchise which was released in 2014 had a good opening with 186 weekend shows in Chennai, while Aranmanai 2 has had an even bigger opening with over 225 weekend shows. The approximate 1st weekend Chennai city box office collections of Aranmanai 1 & 2 are as follows. Aranmanai 2 - Rs. 1,12,09,860. Let us wait and see how Aranmanai 2 holds on! People looking for online information on Aaranmanai 2, Hansika, Trisha will find this news story useful.